WHAT MAKES AN "ALFANDRE " PROJECT? Lasting beauty is the key. We would like to believe that everything we design and build will last well into the future. In a world accustomed to cheap and disposable, it feels extraordinary when something is built to last. We believe that “built to last” should not be extraordinary, but standard. We embrace those who care about quality. We stand for the health, well-being and comfort of our clients and their families. We are committed to sustainability and positively impacting the environment. We envision the continual evolution of design to create buildings in harmony with their surroundings. 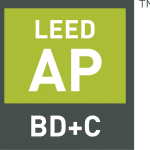 Rick Alfandre, AIA, LEED AP BD+C is a prolific architect who, over the past 27 years, has designed and built more than 300 projects ranging from multi-million-dollar hotels and resorts to solar residences. Recently completed projects include office buildings, churches and synagogues, retail buildings and spaces, multiple dwellings, restaurants, hotels, manufacturing facilities and custom residences. The founder and President of Alfandre Architecture, he is expert in the design of maximally energy-efficient, climactically responsive buildings that are solar-ready, and state-of-the-art construction systems that minimize energy requirements. Mr. Alfandre manages a youthful and motivated work force with skills in Building Information Modeling, Computer Aided Design and hand drawing, three-dimensional visualization and visual impact studies. 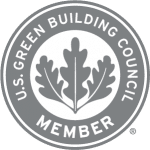 A leader in the green building movement in upstate New York, Mr. Alfandre has worked closely with the US Green Building Council (USGBC) to grow the USGBC New York Upstate region as well as the Hudson Valley Branch's regional programs. Alfandre has spoken extensively on green buildings and sustainability to business and consumer audiences. Mr. Alfandre is devoted to creating spaces and places of lasting beauty, working closely with clients to plan for efficient, resilient and cost-effective projects. Alfandre’s offices are located in their LEED Platinum, Net Zero Energy office building situated on Main Street, New Paltz, NY in the heart of the beautiful Hudson Valley. He launched EcoBuilders Inc. in 2009 to provide full design and build services to his clients. EcoBuilders completed projects include office buildings, resort and hospitality facilities, high performance residences and historic restoration projects. Alfandre is the recent past Chair of the US Green Building Council NY Upstate Chapter, is a past member of the SUNY New Paltz School of Business Advisory Council and is a 2013 Business School Hall of Fame Inductee. He serves as an advisor to the Board of Trustees of the Mountain Laurel Waldorf School; and is a past board member of the Ulster County Regional Chamber of Commerce. Alfandre is past president of the New Paltz Rotary Club (2008) and was named a Paul Harris Fellow by the Rotary Foundation in 2009. He served for nine years as a member, and two years as Chair, on the Town of Esopus Environmental Advisory Board. He has also served as a member of the Huguenot Historical Society’s Building and Grounds Advisory Committee. Mr. Alfandre is National Council of Architectural Registrations Boards (NCARB) certified, a member of the Northeast Sustainable Energy Association (NESEA), and the Construction Contractors Association of the Hudson Valley (CCAHV). He received a Bachelor of Arts degree in Communications from SUNY New Paltz in 1980 and a Master of Architecture degree in 1987 from the School of Architecture at Virginia Polytechnic Institute and State University. Licensed to practice architecture in the states of New York, Connecticut and New Jersey, Rick Alfandre has formed solid working relationships with area building and planning officials and has collaborated with many regional professionals to create a unique team approach to projects. Sam Dillehay received his Masters in Architecture from Virginia Tech in 2006. He joined Alfandre Architecture in 2007 as a project manager, and has been responsible for managing all phases of projects, from pre-design through construction administration. Sam Dillehay has been chiefly responsible for the exploration and implementation of new technologies within the office, including incorporating Building Information Modeling into the office workflow, and using 3D models for comprehensive daylight and shadow analysis. Joe Buglino received his Bachelor of Science in Architecture Design from SUNY Buffalo in 2004. Joe has been with Alfandre Architecture for over 20 years, where he has gained extensive experience with construction administration. In 2012, Joe Buglino was appointed Vice President of EcoBuilders, Inc., a general contracting firm founded by Rick Alfandre. As the construction manager, Joe is responsible for the coordination and management of numerous commercial, religious, residential, as well as municipal projects. Joe’s experience as a construction administrator at Alfandre Architecture and a construction manager at EcoBuilders, Inc. allows projects to be fast-tracked from design through construction. His commitment to design, building science, structure and budget ensures that your design plans will be executed as intended. David has been a Senior Designer at Alfandre Architecture for over 20 years. He is committed to applied research and post-occupancy evaluations for high quality, sustainable, energy-efficient design. David has also taught in design studios at university-level accredited colleges of architecture for over 22 years. He is skilled at urban and building design, receiving numerous design awards. He has been a licensed architect for over 35 years. David attended the University of Minnesota where he received his Bachelor in Architecture and Bachelor in Arts. He also received his Masters in Architecture from the University of Pennsylvania. Gabrielle joined Alfandre Architecture in January of 2017 as an Architecture Intern. She is proficient in Autodesk Revit, Autocad, Sketchup, as well as Photoshop and Adobe Creative Suite. Gabrielle graduated from Marywood University and was a part of the accreditation process of the new School of Architecture. She is also on the path to become a licensed architect. Edward joined Alfandre Architecture in May of 2016 as a Draftsman. He is proficient in Autodesk Revit, Autocad, Sketchup, as well as freehand sketching, and serves as a strong support to the design team. Edward is currently working towards an associates degree in Drafting at SUNY Ulster. He plans on pursuing a Master’s Degree in Architecture, with the goal of becoming a licensed architect. We will take a holistic, multi-dimensional approach to your project, learning everything we can about how you use your space and how we can best design the building around YOUR needs. We will design and build a space of long-lasting quality and beauty that will fit in seamlessly with its surroundings. We will integrate sustainable design principles to give you a high-efficiency building that will save you money and give you a healthier, more comfortable life. We will give you all of the information you need to make informed decisions with expert advice you can trust.